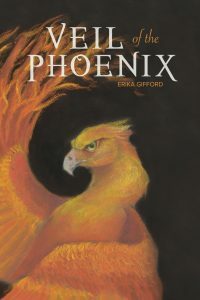 In the east, the prophecy of the Phoenix is being brought about by force by the Phoenix Followers, a group dedicated to throwing down the old power to bring about a new age. As this veiled group’s power continues to grow it’s up to a small group of outlaws to fight against a prophecy, battle the Phoenix Followers, and then challenge the other nations threatening to smother their kingdom’s identity. Available at select local bookstores in the Cleveland area: Mac’s Backs, Loganberry and The Learnéd Owl. Available online in trade paperback from Mac’s Backs, and Amazon.